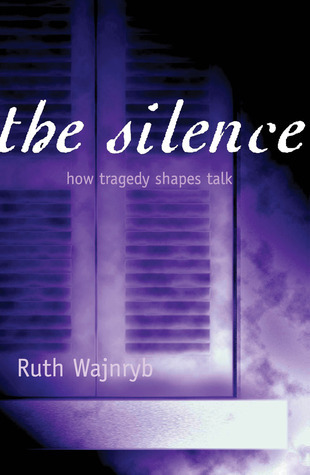 The Silence deals with, among other things, the impact of trauma on speech, and particularly communication between generations. I first read this book while attempting to deal with my own inability to speak about traumatic memory, and found it extremely helpful--not so much in helping me to speak, but simply in showing me that the inability to do so is normal. Wajnryb writing is clear and personal, and the fact that the impetus for the book comes from her own experience gives the book a sense of purpose. It should be helpful to the children and grandchildren of holocaust survivors, and to anyone who struggles with traumatic memory.